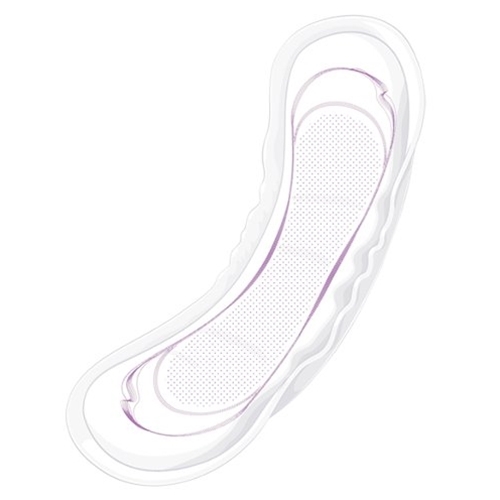 TENA Serenity Intimates Bladder Control Pads from HealthyKin.com features the Dry Fast Core that locks away liquid quickly. pH balanced with OdaSorb Plus that helps control odors. High-rising side shields provide a comfortable fit that conforms to the body for extra security and leakage prevention. I recently received an order from you. Your product is great! However, your shipping boxes are anything but DISCREET! It reads on each box, "Pads: Moderate Absorbency." When being delivered to my restaurant by UPS (or FedEx) they automatically leave it on the counter for all the "world" to see. Wonderful product--just not quite "discreet" enough! They are nice, but do not absorb the urine smell well. Do not know if it contains a gel center like discreet, which I also like, but wish were thicker. This configuration of Ten a pass is a great price, since I have to wear everyday due to past illiness. Always liked Healthykin. Thank you!